Animal Wildlife | Hedgehog | The hedgehog is thought to be one of the oldest mammals on earth, with estimates dating the hedgehog to around 15 million years ago. 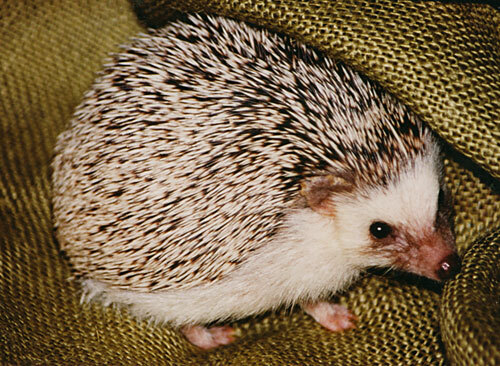 It is believed that the hedgehog has changed very little over that period of time. The hedgehog is a small mammal that is predominantly found in Europe, Asia and Africa and the hedgehog has also been artificially introduced to New Zealand. 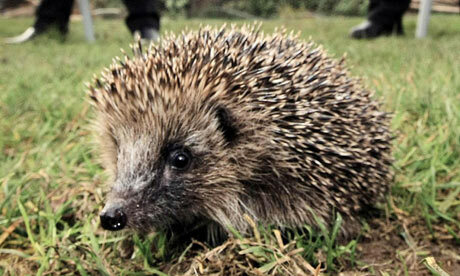 The hedgehog is commonly around 25 cm long, with the hedgehogs back being covered in spikes. 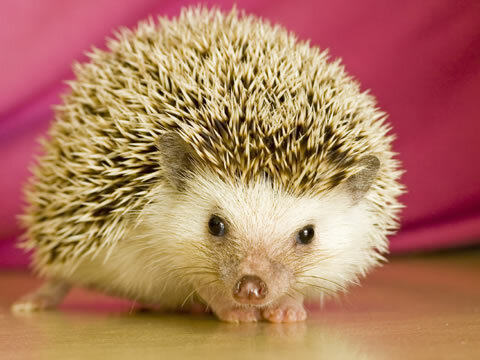 The hedgehog can also protect itself by curling its body into a ball so only the hedgehog spikes are exposed. This method of only exposing the spikes of the hedgehog, keeps the hedgehog safe from predators. The hedgehog is a nocturnal mammal that naturally feasts on bugs and insects. It has been known for humans to domesticate hedgehogs in their gardens, by feeding the hedgehog year round until the hedgehog goes into hibernation in the winter. There are thought to be 16 different species of hedgehog found around the world although, oddly enough, there are no species of hedgehog that are native to Australia and no living species of hedgehog that are native to North America. The spikes of the hedgehog are hollow hairs that are made from the protein keratin (the same stuff that human hair and fingernails are made from), and unlike the spikes of the porcupine, the spikes of the hedgehog cannot be removed easily. The spikes of the hedgehog also differ from the spikes of the porcupine as the hedgehog spikes are not poisonous or barbed. 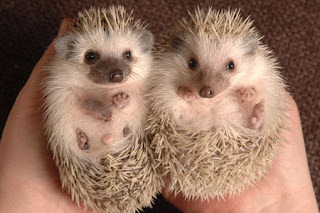 When baby hedgehogs get to a certain age, the young hedgehog will shed the softer baby spikes that are then replaced with the stronger and darker spikes of the adult hedgehog. Hedgehogs have also been known to shed a number of spikes when the hedgehog is under extreme stress or if the hedgehog is poorly. All species of hedgehog have evolved to react to their natural surroundings slightly differently. 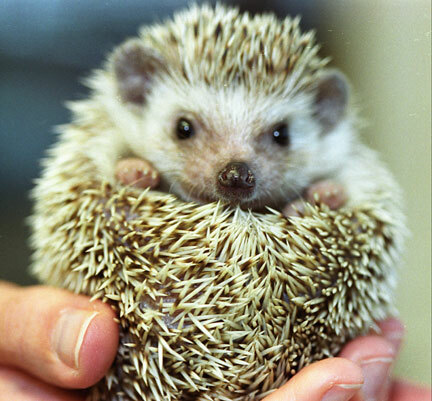 Despite the fact that hedgehog species all commonly roll themselves into a tight ball to expose only their outward pointing spikes, some hedgehog species, such as those hedgehogs inhabiting the desert regions, will often try to run away from predators first leaving their spiky ball defense as a later option. 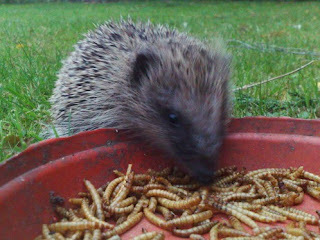 This has led to hedgehogs in different environments to have different predators. For example, the larger forest hedgehogs are more commonly preyed upon by owls, birds and ferrets, where the smaller hedgehogs that exist in more open areas are hunted by foxes, wolves and weasels. Hedgehogs are well known for their need to hibernate during the colder winter months although this is not true for every hedgehog species around the world. Whether or not a hedgehog will hibernate, depends on the hedgehog species, the climate in which they live and how much food is available. Most hedgehog species are loudly vocal animals and use grunts and snuffles in order to communicate between one another. 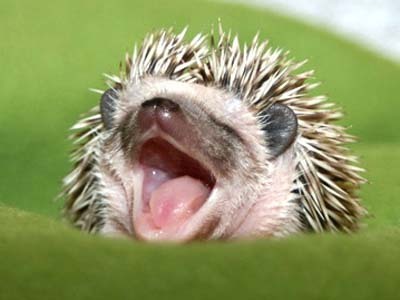 Some species of hedgehog will also communicate between each other using louder squealing noises. The larger species of hedgehog give birth to around 3 or 4 baby hedgehogs, but the smaller hedgehog species tend to have slightly larger litters and therefore give birth to 5 to 7 babies. 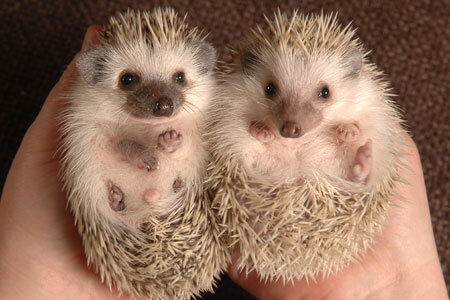 When the hedgehog babies are first born, they are born blind and without their spikes. Although the spikes of the hedgehog babies can been vaguely seen under the skin, the spikes of the baby hedgehog will grow through the skin in a matter of days after the baby hedgehog has been given a thorough clean by the mother hedgehog. 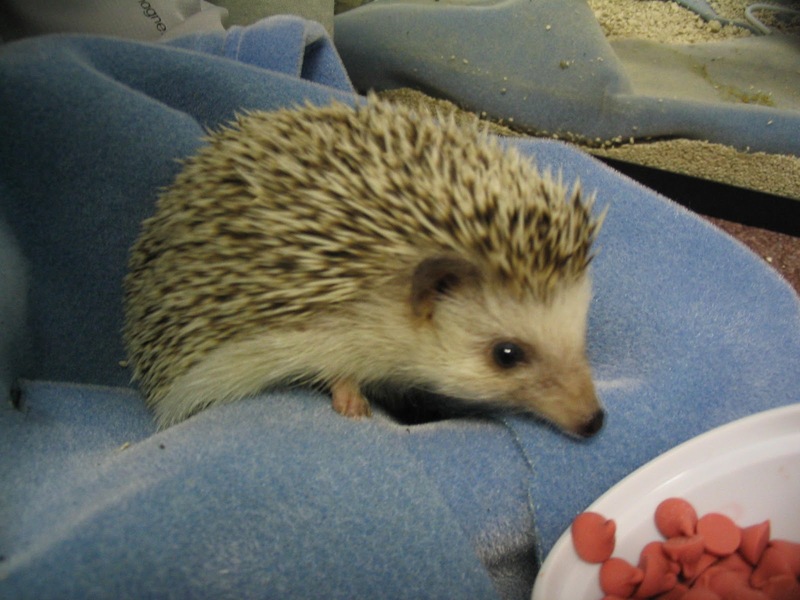 The larger species of hedgehog tend to live longer in the wild than the smaller species of hedgehog as the larger hedgehog species have fewer predators. 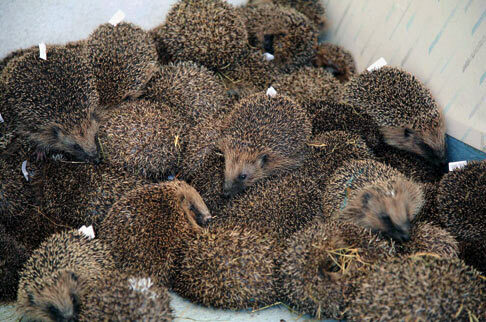 The average age of a large hedgehog is around 8 years but the average age of a small hedgehog is about 5 years. Both species have known to live longer in captivity as the risk of predators has been removed. Whoever wrote this needs to do a bit more research.